If you are thinking about refinancing your home, the job of an appraiser is to look at your house through the “eyes of the lender.” An appraiser’s objective is to provide an impartial opinion of a property’s market value. Appraisers are chosen from a panel of appraisers, and lenders usually have no control over who will be appraising your home. The appraisers report is based on their extensive training and experience, they are heavily regulated and must remain unbiased. 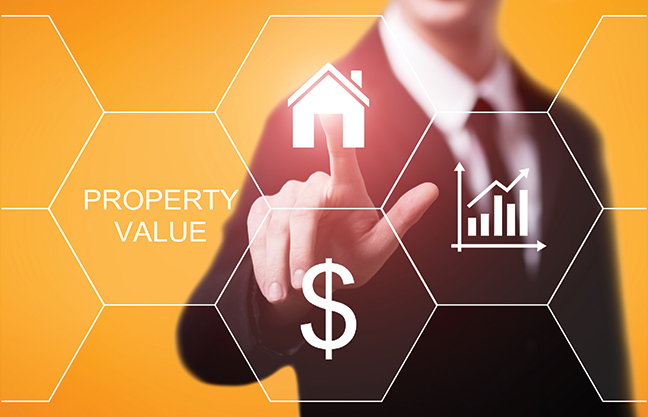 Appraisers must also show why they value a house the way they do. They are looking at the condition of permanently affixed items of a home, they are not checking the performance of systems like heating and cooling, that is the inspector’s job. If there is a mistake on the appraisal report—you (the homeowner) and your real estate agent are basically the only people who can have direct contact with the appraiser. So, it’s critical that you take the following steps and provide information to ensure that you get a fair value assessment for your home. Contact your local real estate agent and find out the prices for homes recently sold in your area to make sure the appraiser properly evaluated your specific market. Prepare your home—the same way you would if you were holding an open house. Appraisers are responsible for observing the condition of a home. While they are supposed to ignore dirty dishes or overgrown bushes, they are only human and it may have some influence on the value. You can also help prepare your home by repairing items they do care about such as: plaster cracks, soiled carpet, odors, water stains, broken windows, leaky faucets and chipped paint. Give them a list of your home’s best features. Don’t count on them discovering every detail that makes your home different from the others in your area. Note any recent upgrades, improvements, schools, shopping, unique views, new roads, etc. When you get a copy of the completed appraisal, check for any errors. If you find a mistake or want to challenge the findings, call the appraiser directly (because the loan officer is not allowed to call him/her) and ask to have the information reviewed. If they are NOT willing to update or cannot explain why they won’t change it, you can complain to the local/state appraiser board. You should not be afraid of the appraisal process. They are there to protect everyone’s interest in the property. There are also checks-and-balances in place for the lender to ensure an accurate report. Do prepare yourself and the property for the best results possible when it comes to the appraisal and sale of your home. For further information contact Angie Midtbo, Residential Loan Originator Thrive Mortgage NMLS #1739856 creativelendingsource.com 720-212-0724 o 303-525-0575 cell.